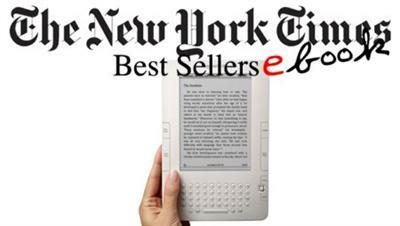 New York Times Best Collection &#8211; April 27, 2014 | Free eBooks Download - EBOOKEE! Posted on 2014-05-11, by nobihai. Weekly List Of Updated ebooks large Collections Including Both Fiction, Non-Fiction and Young Adult. CARNAL CURIOSITY, by Stuart Woods. THE FIXED TRILOGY, by Laurelin Paige. MISSING YOU, by Harlan Coben. NYPD RED 2, by James Patterson and Marshall Karp. I'VE GOT YOU UNDER MY SKIN, by Mary Higgins Clark. SHADOW SPELL, by Nora Roberts. KEEP QUIET, by Lisa Scottoline. ORPHAN TRAIN, by Christina Baker Kline. THE GOLDFINCH, by Donna Tartt. THE HUSBAND'S SECRET, by Liane Moriarty. THE WILL, by Kristen Ashley. THE INVENTION OF WINGS, by Sue Monk Kidd. A GAME OF THRONES, by George R. R. Martin. NEVER GO BACK, by Lee Child. THE BOLEYN INHERITANCE, by Philippa Gregory. REASONABLE DOUBT, by Whitney Gracia Williams. LITTLE GIRL LOST, by Brian McGilloway. NIGHT DIVER, by Elizabeth Lowell. MUD VEIN, by Tarryn Fisher. ME BEFORE YOU, by Jojo Moyes. BLOSSOM STREET BRIDES, by Debbie Macomber. 3.FACE THE MUSIC, by Paul Stanley. 4.LOVE LIFE, by Rob Lowe. 5.10% HAPPIER, by Dan Harris. 7.KILLING JESUS, by Bill O'Reilly and Martin Dugard. 9.CREATIVITY, INC, by Ed Catmull with Amy Wallace. 10.THE DIVIDE, by Matt Taibbi. 12.TWELVE YEARS A SLAVE, by Solomon Northup. 13.THE OPPOSITE OF LONELINESS, by Marina Keegan. 14.THE NAZI OFFICER'S WIFE, by Edith H. Beer with Susan Dworkin. 15.BIG TENT, edited by Mallory Factor and Elizabeth Factor. 16.LIVING WITH A WILD GOD, by Barbara Ehrenreich. 17.LEAN IN, by Sheryl Sandberg with Nell Scovell. 18.UGANDA BE KIDDING ME, by Chelsea Handler. 19.LONE SURVIVOR, by Marcus Luttrell and Patrick Robinson. 20.THE DEATH OF MONEY, by James Rickards. 21.HOW JESUS BECAME GOD, by Bart D. Ehrman. 22.PROOF OF HEAVEN, by Eben Alexander. 24.DAVID AND GOLIATH, by Malcolm Gladwell. 25.A CALL TO ACTION, by Jimmy Carter. 1.THE FAULT IN OUR STARS, by John Green. 2.THE BOOK THIEF, by Markus Zusak. 3.LOOKING FOR ALASKA, by John Green. 4.PAPER TOWNS, by John Green. 5.MISS PEREGRINE'S HOME FOR PECULIAR CHILDREN, by Ransom Riggs. 6.THIRTEEN REASONS WHY, by Jay Asher. 7.ELEANOR AND PARK, by Rainbow Rowell. 8.SEA OF SHADOWS, by Kelley Armstrong. 9.HOLLOW CITY, by Ransom Riggs. 10.AN ABUNDANCE OF KATHERINES, by John Green. No comments for "New York Times Best Collection – April 27, 2014".